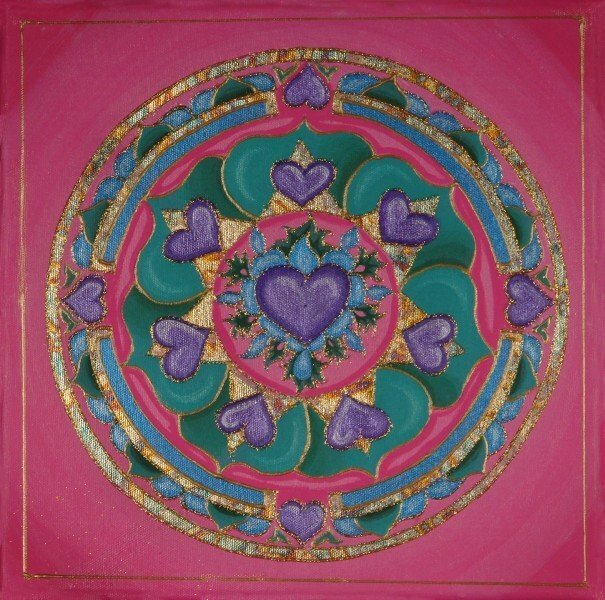 Little Pink Love | Artwork – Store – Tammi B. Ph.D.
Hand painted mandala 12" x 12" acrylic, mixed medium, gold leafing and Swarovski crystals. I wanted to create something simple and sweet that spoke softly of love. This image revealed itself and was born 6 hours later.